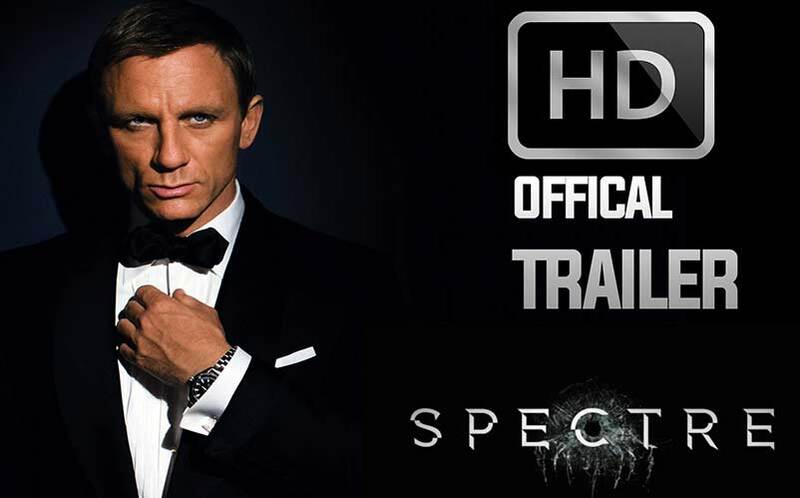 WATCH: First 'Spectre' 007 Trailer | Nerd Much? Sony has officially unveiled our first look at the upcoming Spectre 007 movie, which will of course star Daniel Craig as James Bond again. The new Spectre trailer shows Bond doing Bond things, like driving a badass car, chasing someone, kissing the girl, flying a plane, landing a plane, and romantically bantering with yet another woman. The new trailer also almost gives us our first look at Christoph Waltz as the villain (only a shadowy figure and his voice can be seen and heard). Chilling. Spectre will also star Dave Bautista, Monica Bellucci and Ralph Fiennes. The film will revolve around a cryptic message from Bond’s past that sends him on a trail to uncover a sinister organization, presumably named Spectre. This will undoubtedly be Daniel Craig’s last James Bond action movie, as he revealed to the Guardian that he wanted Skyfall to actually be his last 007 role, suggesting that he’ll soon retire his shiny cuff links. Spectre looks to be an absolutely incredible follow up to 2013’s Skyfall, and we can’t wait to check it out when it hits theaters on November 6th later this year.